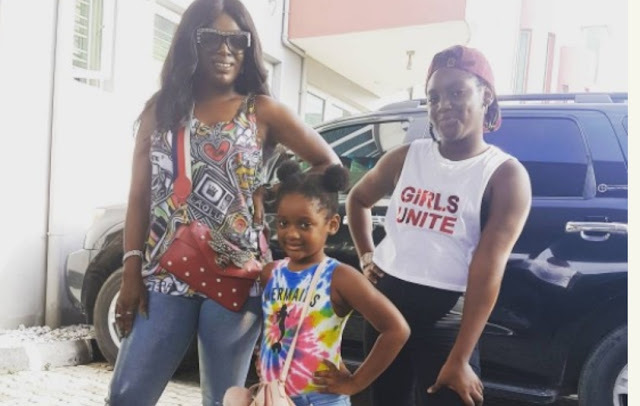 2face's daughters with his wife Annie Idibia are fast growing. Annie shared a picture she took with the girls on Instagram and had fans commending their cuteness. The cute picture didn't stop some fans from noticing the leg on one of the girls which looks bow. While some feel the leg looks bow in the picture due to the normal slay queen pose girls love to do, others called Annie's attention to it and advised she does something about it fast.